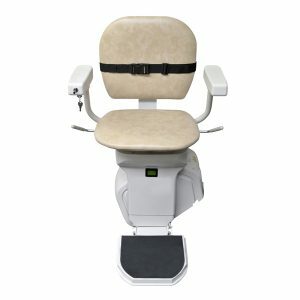 Platinum Horizon straight stairlifts are designed for ease of use and fast, hassle free installation. Platinum Horizon straight stairlifts makes difficult stairs accessible again and grants you the freedom of your house once more. The compact design and stair tread mounted straight rail ensure the Platinum Horizon takes up as little space as possible and does not impact upon your homes decor. With two different models to choose from, the Platinum Horizon is suitable for all, no matter what shape or size. For straight staircases there is no better option than the Platinum Horizon. 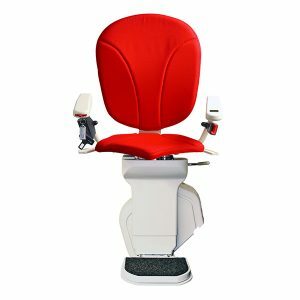 Please select from the Platinum Horizon 'Standard' which offers all the basic features associated with a straight stairlift or the Platinum Horizon 'PLUS' which is available with a range of optional extras such as powered swivel seat, linked footrest and fully adjustable seat.